Harry is an internationally recognised Instructor of Taekwon-Do ITF who has taught in countries around the world including his native Netherlands, United States of America, Curacao and South-Korea and tested in the Netherlands, Curacao, Italy and South-Korea. 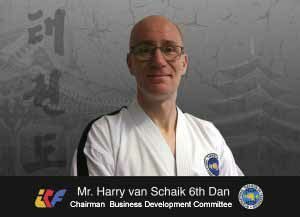 His Taekwon-Do career commenced in 1980 after a few years of waterpolo, swimming and soccer. At the age of 14 years Harry began training Taekwon-Do ITF under the supervision of Mr Hennie van de Brink (1st Degree), Sylvestro van der Kooye (1st Degree) and head instructor Stanley Brug (3rd Degree). Later he started training at the school of Master Kiet Tjon-a-Pauw and Master James Tjin-a-Ton. 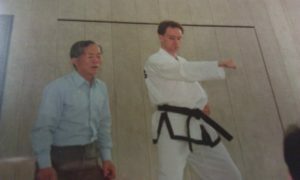 His commitment to Taekwon-Do as well as his indomitable spirit allowed Harry to become member of the team that became National Champion in 1987. 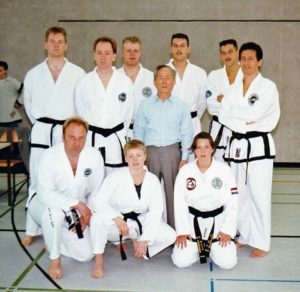 After starting teaching in 1992 in the USA and later in the Netherlands he started his own club KISPORT Martial Academy in January 2000. Over the years many many National, European and World Champions in 4 different ITF’s have been produced. 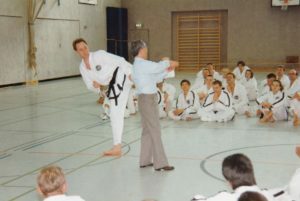 His greatest passion as an instructor in the competition scene is organizing teams and over the years he produced National, European and World Championships team in Sparring, Special Techniques and Power Breaking. Harry is widely respected as an International Referee and Umpire Committee Member in Euro’s and Worlds, leading the heated finals of many many Male Team Sparring matches at Euro’s and World Championships. As a full time Do’Jang owner he became Instructor of the year of ITF HQ Korea after being elected in a open election on-line. Awarded with the Honorary Umpire Award and being a member of several committees over the years he is now Chairman of the Business Development Committee. As organizer of the Open Worlds ITF HQ Korea in september 2017 in Barneveld, The Netherlands he showed the world his capabillitiy to lead a big international event. As the director of the Tigers Life Skills Education he teaches intructor all over the world to be an instructor from 2 years and up and has achieved a place in the Taekwon-Do Hall of Fame with this program in South Korea. As developer of programs for the elderly he has made a elderly training approved by the Mayor of Utrecht, whi is Ambassador of this training. Futuremore Harry has been the founder of the PROMAT and now a days the International Taekwon-Do League, a league system for competitors in sparring and patterns to join for all competitors no matter what organisations they are in. In the nineties Harry participated in many IIC with General Choi Hong Hi, his son Choi Jung Hwa, Park Jong Soo and also organised IIC’s including one of the Pioneer Kim Bok Man in the years after. 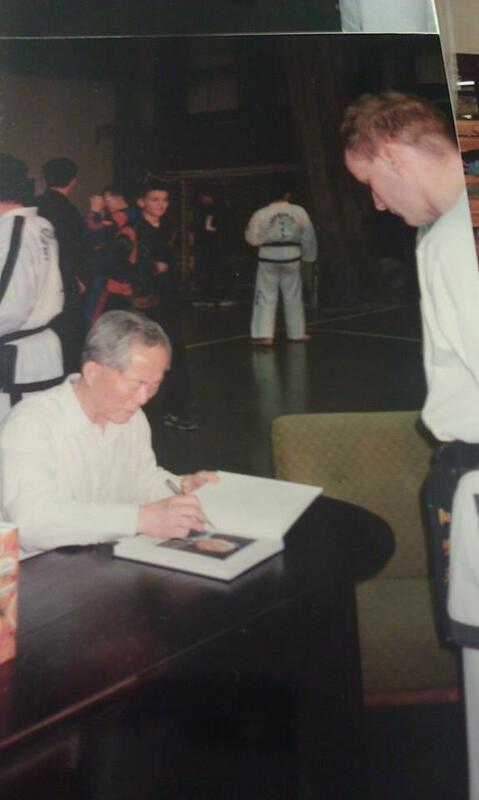 As the author of the first alfabetic encyclopedia in Dutch language Harry has done a lot of research in Taekwon-Do techniques. During the World Championships 2001 in Italy, Rimini, General Choi Hong Hi signed the alfabetic encyclopedia. 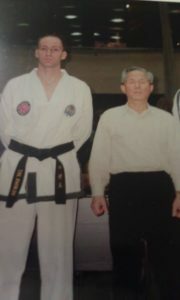 As the organizer of two Tul Tours in South-Korea he obtained a lot of historical knowlegde of the history of Taekwon-Do. His students are a reflection of himself and are polite, well educated and hard working students from 2-99 years old. Technical and spiritual strong and always willing to support anybody who needs it. Harry is a strong character when facing injustice and is takes the position of protecting the weaker ones in sport and society. This attitude made him a highly respected human being, police-officer, detective, coach, referee and instructor.